Open all year round, daily from 9:00 to 18:00 (in summer until 19:00). This unique ZOO is one of the best of its kinds in the entire Europe. The ZOO area covers 64 ha and offers 300 different species represented by more than 2,300 animals. 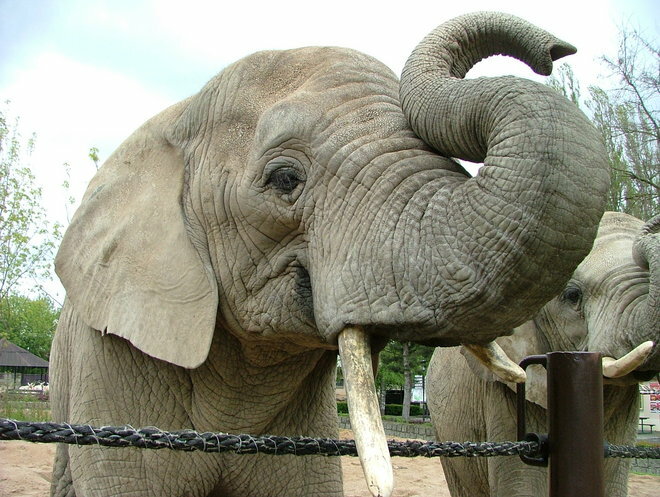 The focus is on African animals, especially ungulates. During the summer the Safari Park is open where you can take a bus tour. A novelty is evening safari exhibition: 1.7. – 1.9. from 19:30 to 21:30. You will certainly be impressed by the Bird World and Water World pavilions, by the Pavilion of apes, noktunarium, exotarium and by other modernized buildings and animal yards. Do not miss the gallery of 75 original paintings called The Prehistoric times as seen by the eyes of Zdeněk Burian, where you can see his ideas of prehistoric landscapes, creatures and the evolution of life on Earth. During your visit you can visit the restaurant „U lemur“ or you may stay at the Safari Hotel. Open: daily except Mondays, May-September 9:00-12:00 and 13:00-18:00, April and October on weekends and holidays 9:00-12:00 and 13:00-16:00. The castle tour lasts one hour. The typical baroque style famous mainly for sculptures of virtues and vices created by Matyáš Bernard Braun, was established by the Count Frantisek Antonín Špork in the 17th century. The spa was built by G.B. Alliprandi. Another major attraction is the former baroque hospital pharmacy with original furnishings and tomb of F. A. Špork. Originals of Braun’s sculptures can be found in the lapidary chapel. Bethlehem 3 km away and set of statues in the Nový les nad Žírčí also belong to the castle. From the original 26 sculptures only 8 sculptures survived, but they are definitely worth seeing. In the rock city you will see unique sandstone formations resembling human figures, animals and various objects. Open from May to October, daily from 8:00 to 18:00. You can enjoy boat rides on the lake. Boarding starts at the hotel entrance or at Lesní zátiší or at the Pískovna lake. In addition to the rock town tour, you can visit the Křížový vrch (hill) and the ruins of the Adršpach castle. Open: April 15 through October 31, 8:00 to 18:00 daily. The Teplice rock town tour begins at the bus stop or train station Teplice-Skály. 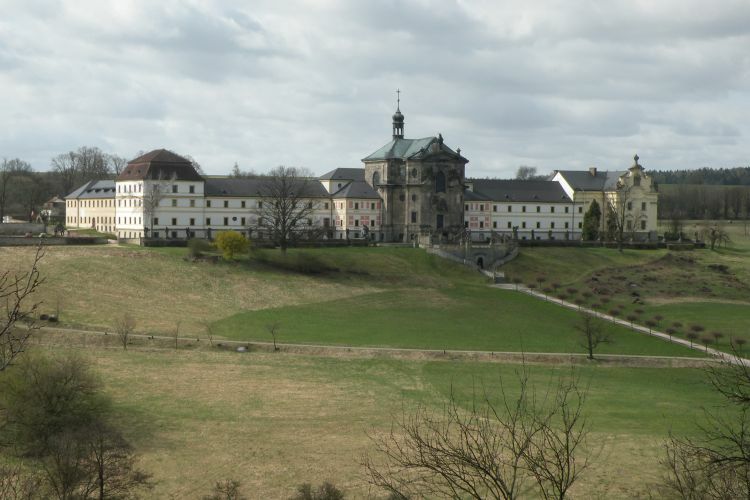 The tour is 6 km long and you can climb up to see the ruins of the Střmen castle. You can also walk through Vlčí rokle (ravine) all the way to the Adršpach rock town. The educational trail goes around the cable car station around the Sokolská and Černá bouda and continues to the crossroads under the Černá bouda where the Krkonoše educational trail begins. 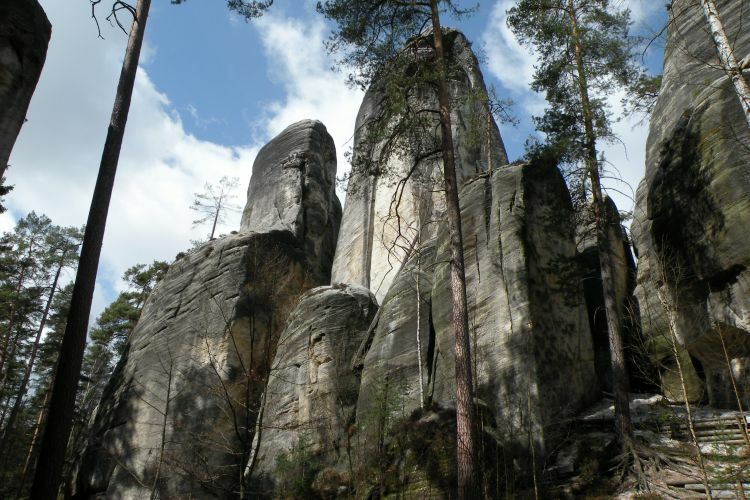 It runs along the forest trails through interesting sections of the Černá and Světlé hora. Text on thematically focused signs is in three languages and added with the trail map showing your current location („you are here point“) and various photographs. 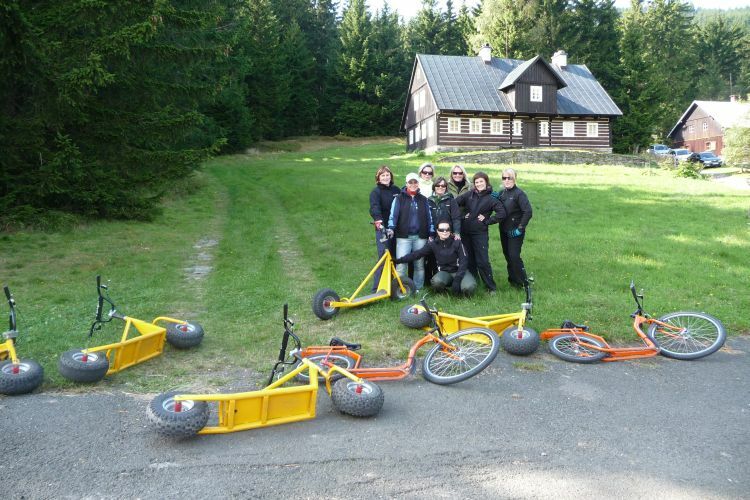 The first Krkonoše bike trail was built in close cooperation between the Krkonoše National Park Office located in Vrchlabí, the MEGA PLUS s.r.o. company, Janské Spa and the owner and operator of the cable car Janské Spa – Černa hora. The total length of the first Krkonoše bike trail is 16 km. The trail is open from June 1 to October 15, in order to protect undisturbed environment for the wildlife. Thanks to sidewalks and the wooden viewing tower you can either meet up close with the turf or you can see it from above. On the three and a half kilometre long route you will find six information panels. 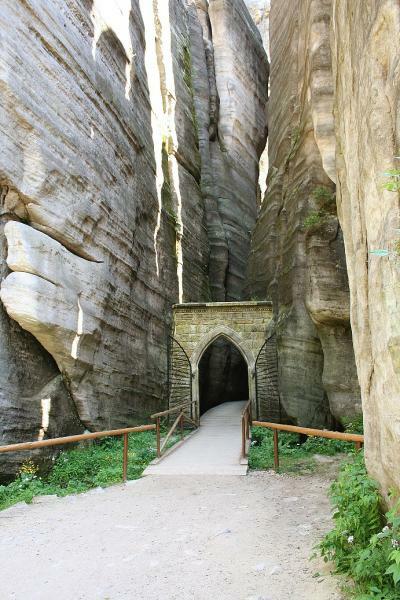 The trail begins at the Černá bouda and it is open from June 1 to October 15. No bikes are allowed. The one kilometre long trail in the Černý důl and with ten stops is equipped with information boards which remind you of the rich mining tradition in Krkonoše Mountains. Information boards will explain to you some of the medieval mining methods, you can examine various photos and maps and you may also take a look underneath the ground. You can also see 80 m deep depression covering uranium mine, a mining power drive or rock folds. The starting point of the trail on the tourist map is marked with blue colour, and begins behind the local textile factory. The six-kilometre long route has 10 stops and runs along the marked tourist paths and begins near Maxovka viewing point and then turns to the Rychorská studánka and continues towards the crossroad between Kutná and Dvorský les and returns back above Sněžné Domky. 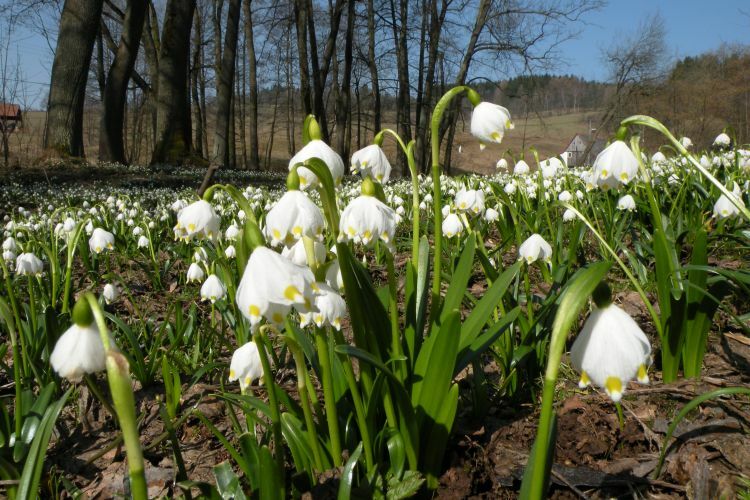 The last stop „Rýchorská Květnice“ was declared in 1960 as a botanical reservation. 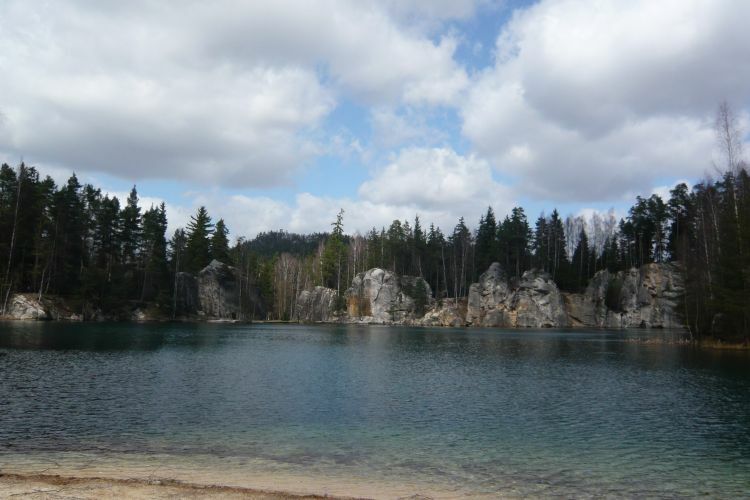 The trail is open from May 1 until October 31. A walking trail less than 16 km long will take you through the peaks of our highest mountains. 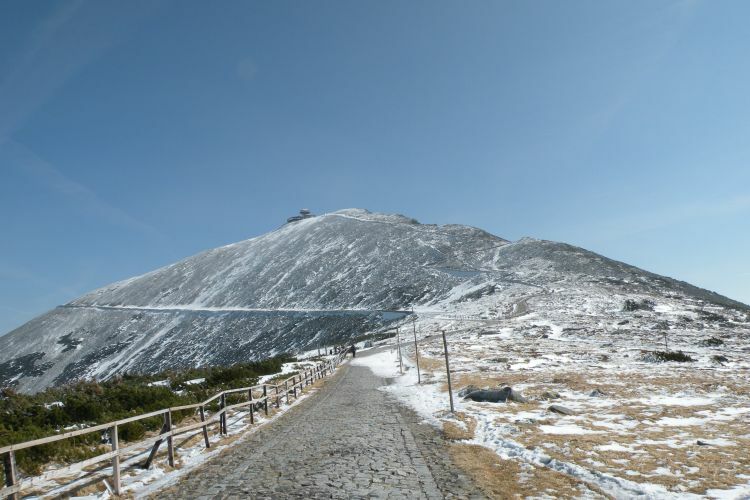 From the parking lot in Pec pod Sněžkou you will take the blue trail to the first cable car station and take the ride to the top of the Sněžka mountain. Then you take the red mark trail and reach the border buffet. Turn left and follow the blue trail all the way to the Luční bouda – cottage, the largest and oldest mountain cottage in Krkonoše. Then you take the red trail to Výrovka and the green trail to return back to Pec pod Sněžkou. Sudden death of the Count Berthold of Aichelburg troubled residents and workers in the area so much that they decided to build him a non-traditional monument. The eight-kilometre long trail starts at Na Kopečku – hill in Horní Maršov. It passes along series of interesting objects all the way to the Temný Důl (mine) and then it goes up on forest roads (unsuitable for mountain bikes), until it reaches the reconstructed forest castle. In the summer, you can borrow keys that open the castle hall from the Veselý výlet (Happy trip) gallery. 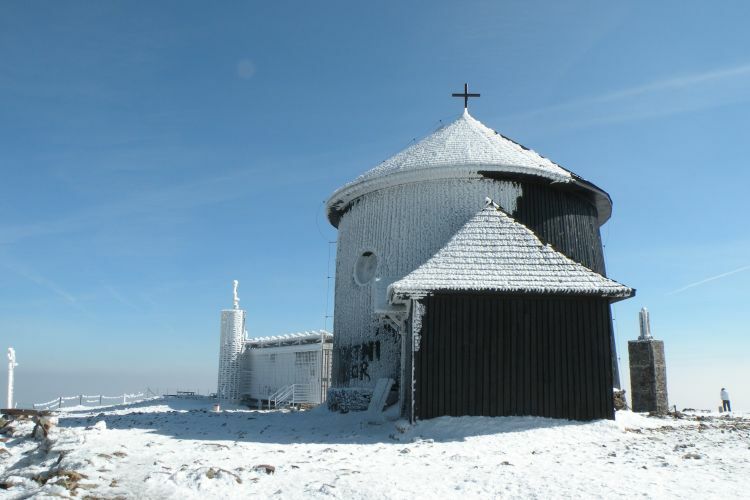 A half-day long walk continues around the Světlá hora and ends at a mountain farm Sosna. The Stachelberg fortress is a part of a massive fortification line, which runs through the entire Trutnov area, starting at Rýchory and ending at Jestřebí mountains, where it connects with similar fortifications which were built in the Náchod area at that time. The unfinished artillery fortress, thanks to its size and number of installed weapons, represented the largest and most advanced border fortification complex of the Czech border patrol. At present, you will find here historical exhibitions showing plans and models of various objects, photographs and samples of army equipment. The trail goes through interesting, mostly wooded terrain and also passes through a picturesque river valley Ličná. The trail offers several observation points. Bus stops and refreshments kiosks are at both start and end points.